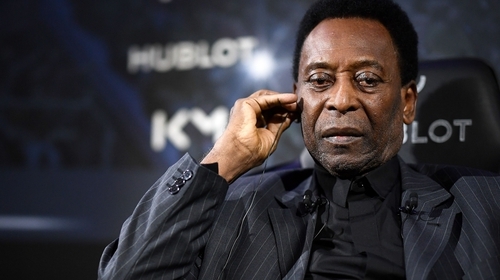 Pele has reportedly been taken to hospital in Paris as a precaution after falling ill. The three-time World Cup winner has struggled with health issues in recent years: he has been pictured using a cane to aid his walking due to problematic hips and knees and also suffered from a serious urinary tract infection. He also pulled out of the opening ceremony of the 2016 Olympic Games in Rio de Janeiro due to unspecified health reasons. The Brazilian, regarded as the world's greatest player, had been able to travel to France earlier this week to meet with Paris Saint-Germain striker Kylian Mbappe as part of his ambassador role for a Swiss luxury watch brand. Pele feels there is yet more to come from the 20-year-old Paris St Germain forward.